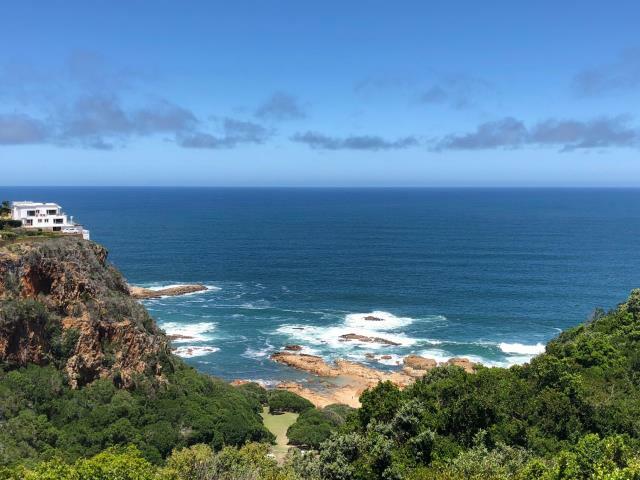 This large family or holiday home is situated on the Knysna Heads with amazing views of the ocean as well as the Knysna lagoon. It has 7 bedrooms,5 bathrooms and 2 lounges so there is ample space for the whole family. There is a swimming pool on the deck overlooking the ocean and a large secure garden for the kids to play. It has a modern open plan kitchen with quality finishes. The house was designed in such a way as to accommodate 2 families at the same time. It has an inter-leading door separating it so that it could form 2 separate homes with own private entrances and there are views from all of the rooms. Automated gate and double garages and a 5000l water tank.